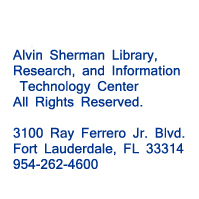 As the end of the year winds down, the staff of the Alvin Sherman Library wishes to extend its warmest wishes to you and your family for a happy and healthy 2013. It has been our pleasure to bring to you exciting and unique programming and services throughout the year. The year's not over yet! Please join us on Saturday, December 8th at the Alvin Sherman Library as we present a really great free children's concert featuring the Sippy Cups! Straight from San Francisco, this band is making its first appearance in Fort Lauderdale. Hurry and pick up your free tickets while supplies last. 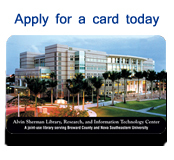 It's just another value added feature of having your Alvin Sherman Library card. Join us on Monday nights for interactive stories and creative crafts. (younger siblings welcome with caregiver). December 5 - Snowy Stories! December 12 - Storytime Graduation! The Sippy Cups: Rock Concert for Kids! The Sippy Cups, the acclaimed children’s indie music band from San Francisco, perform a wildly entertaining show for kids and their families. The band has performed at major concert halls and rock festivals, including Austin City Limits and Lollapalooza. 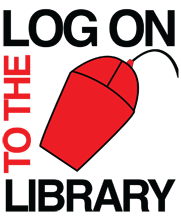 The Sippy Cups have scored top-ten satellite radio hits and received accolades from Time, Newsweek, the New York Post, Billboard, and the Washington Post. This free concert is an EXCLUSIVE for Alvin Sherman Library card holders! Starting November 24th, show us your Alvin Sherman Library card at the public library services desk (first floor) to get your free concert ticket. Hurry! Tickets won’t last! 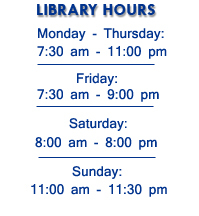 For more information, call 954-262-5477. Rose and Alfred Miniaci Performing Arts Center. Join us as Tennille Shuster, award winning graphic designer, illustrator, and book artist guides you in basic paper engineering skills, culminating in the creation of folded pop-up greeting cards. All materials provided. William Charles Crowley, Artistic Director of Next Step Dance explores the life and 70 year career of Martha Graham, American Dancer and Choreographer. Through demonstration, Beyond the Labyrinth focuses on her influence, innovative techniques and impressive body of work which has been comapred with Picasso, Stravinsky and Frank Lloyd Wright. Martha Graham’s work continues to inspire dancers and choreographers today. Second Floor, Cotilla Gallery. Designed for the absolute beginner, learn how to use the mouse and keyboard. Other topics include working with Windows and establishing an e-mail account. Register online or call us at 954-262-5477. Second Floor, Lab B. Gain confidence and experience in using the basic features of PowerPoint. Prerequisite: Competence in using keyboard and mouse. Register online or call us at 954-262-5477. Second Floor, Lab B. The Genealogical Society of Broward County’s monthly meeting is held at the Alvin Sherman Library. The program begins at 2:30 pm after the GSBC open lab (12 noon - 2 pm) and the Genealogical Society of Broward County business meeting (which begins at 2 pm). Sponsored by the Genealogical Society of Broward County. Second Floor, Lab A. Join others interested in learning more about African Diaspora genealogy. This support group meets informally on the fourth Saturday of every month at the Alvin Sherman Library. For more information about the group contact adgenealogy@gmail.com. First Floor, Room 1046.